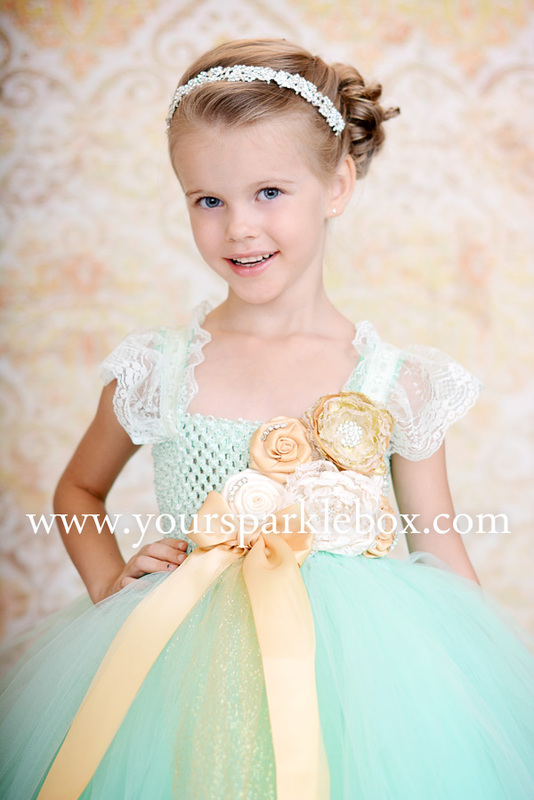 This lovely dress is hand dyed a vintage mint green and accented with handmade flowers in gold glitter and ivory. A touch of rhinestone detailing on the bodice gives this ensemble a truly glamorous feel. The rhinestone headband pictured is available in the accessories section.